Gov. Cooper announced Tuesday that communities across the state will get $127 million in loans and grants to improve water and sewer systems. The funding, approved Mar. 13 by the State Water Infrastructure Authority, comes from a variety of funding sources including the Drinking Water State Revolving Fund loan program, the Clean Water State Revolving Fund loan program, and the Community Development Block Grant program, among others. More than $15.5 million is allocated for a wastewater treatment plant in Johnston County. Duplin, Pitt, Jones, Lenoir, Hyde, Sampson and Washington counties will recieve funding to improve water systems and sewers. Bertie, Craven, Dare, Lenoir, Martin, and Pamlico counties will receive grants and loans for wastewater infrastructure projects. 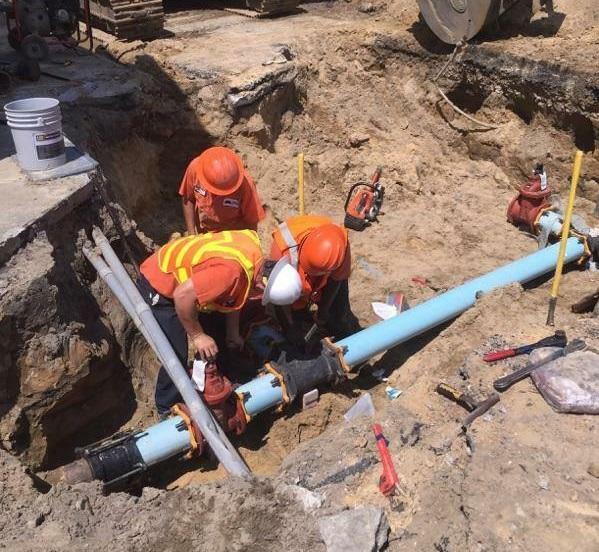 Other projects include sewer improvements in Bladen County, a water treatment plant replacement in Martin County, and equipment upgrades in Jones County. Department of Environmental Quality Secretary Michael Regan said in a press release that the state must provide utilities with more funding to replace aging infrastructure and strengthen water and sewer systems against future storms. According to the UNC Environmental Finance Center, North Carolina needs more than $17 billion dollars in upgrades to water and sewer infrastructure statewide.